Training is the thing that makes you stronger. Warming up right is the thing that makes training work. For most of us, warming up has an intuitive “feel” to it – we start easy, and after a few minutes of gentle activity we feel ready to go. Younger athletes do, and need, less warming up. Older athletes sometimes joke that warming up is all they do. The warm-up functions as a way to get the body working right for hard activity. It increases blood flow and respiration, runs the body temperature up a couple of notches, and gets the mind in the right place. 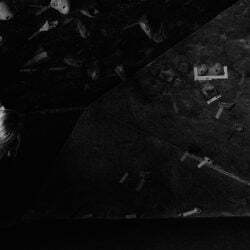 In climbing we usually just climb to get going, but there is probably a better and more effective ways to prime yourself for a good session. The warm-up should be tailored to the requirements of the session. A long, pumping route first thing in the morning might help you get warmed up for other similar climbs, but might not be the best choice for a route that requires a lot of power. Likewise, bringing a hangboard to the crag to warm-up for endurance climbing is not the best choice. Just like your training, your warm-ups should be specific. Most organized warm-ups consist of both general and specific components. 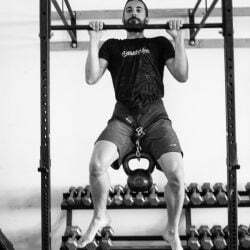 More intense sessions also have what’s called a progressive warm-up, or one in which the athlete slowly ramps up the intensity doing lighter versions of the main exercises in the coming session. In this article, I’ll line out what each of these includes and what their benefits and limitations are. The general warm-up’s main goal is to raise the operating temperature of the body, prime the blood vessels for activity, and to increase your capacity for delivering oxygen. We do this part of the warm-up naturally, as part of the approach to most crags. For low-intensity activities such as hiking or easy alpine climbs, the act of walking from your tent to the cliff is more than enough to prime your body for the climb. In a gym setting, it’s hard to get this same first step taken care of. When we’re psyched to climb or even to lift weights, it’s sort of a downer to start with this kind of low-intensity crap…there is not much that is more boring than walking on a treadmill for 10 minutes. Do it anyway. A general warm-up consists of steady, easy activity ranging from 5-15 minutes. I like my athletes to feel warm by the end, stripping off warm layers and possibly starting to sweat a little. Breathing should be up, and your heart rate should start to make itself known. Keep it simple and conversational. This is the time to transition from the outside world to training time, to catch up with training partners, and to finalize the details of the session. The specific warm-up follows directly behind the general warm-up. For many of us, it will involve a movement preparation sequence, a set of 8-10 exercises that take you through full ranges of motion and start to cross over into strength training. Movements like bodyweight squats, inchworms, inverted rows, and toy soldiers are appropriate here. If you are going to be climbing, your warm-up should include progressively harder movements for the upper body, working on getting the fingers ready for small holds, and getting the hips and shoulders ready for full-range activity. The specific warm-up should feature movements and durations similar to your coming session. At the crag, warming up is a bit more complicated. It’s very easy to over or under-shoot your goal. Simply doing some easier pitches doesn’t always work, either. 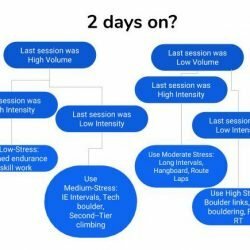 Although you’ll follow a slow intensification of the moves of the sport, this will vary a bit depending on what you’re training for. I’ll discuss this in detail in the Crag Warm-Up section below. For especially intense sessions, we follow specific warm-ups with progressively more intense versions of the training exercises. This allows your body to ramp-up to the intensity required by the coming session and primes the movement patterns you plan to use. A great example is a max-strength session. 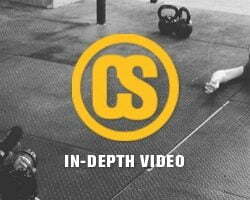 You’d spend the first 5-10 minutes with your general warm-up, then progress to some heavier work such as push-ups, light goblet squats, and swings. If your primary lift is the deadlift, you’d progress through a few reps at 135 (keeping the reps below 4 or 5 even though the weight is light to avoid leaving alactic metabolism), a couple at 225, and then a couple at 315. Take as much time between these lifts as necessary, and do some jumps and other quick movements between to keep reminding the body to be powerful and quick. You might do one final warm-up set of two about 10% below your training weight, maybe 365. Finally you’d move on to your work sets, in our example a few sets of doubles at 405. The same set up works for campusing and for hard bouldering: start easy, keep the durations below 10 seconds per set, and work your way up until you are feeling primed. This part of the session is critical to success and should take as long as you need…anywhere from 10 to 30 minutes. At the beginning of the article, I talked about how the approach to most crags is an ideal general warm-up. If you’re roadside cragging, you might have to take a short walk before the “approach” begins. Remember, you should feel physically warm by the time you reach the crag. Once at the objective, almost all boulderers and climbers can plan on starting with an easy pitch or a few very easy boulder problems to start their specific warm-up. If your day is going to involve a lot of pitches that are onsight-level or easier, simply ramping up the grades from your warm-up is appropriate: 10a, 10c, 11c, and then into the 12a and 12b (or whatever your level) routes for the day. If you are projecting an endurance-oriented route (let’s say a 12c for this example), I suggest starting with one easy pitch (10a), followed by a back-to-back pair on a route 4-6 grades below your objective (maybe an 11b). The first time up, focus on climbing slowly and precisely, the second solidly and quickly. Take no break between the two laps other than to lower back to the ground. We want to build a slight pump toward the end of the second lap. Follow this with one more pitch, maybe 1-2 grades harder (11d), then rest around 20 minutes before you easily send your project. Warming up for power-oriented and strength-dependent climbs is more difficult. Bouldering on tiny holds is hard to prepare for by bouldering on big holds. For routes that feature hard moves or difficult grips, doing the warm-up circuit at the crag is also of limited value. In the early days of the Wild Iris climbing area (an area notorious for tweaky pockets) climbers installed hangboards in several locations in the trees near the cliffs. Over time, though, various shitheads stole the hangboards and local climbers began doing warm-ups as much as an hour before climbing, at the gym or at the car. These grips can easily be substituted for specific grips on that day’s project. Do two problems that add to the limit grade, so maybe V4, V5 in our example. These, you would do at your normal pace. Finish with some specific hold positions on the hangboard if necessary, depending on the nature of your work problems. Simply doing some climbing is a fair warm-up. Optimizing performance takes a little more effort, but can mean the world to a climber who is pushing against the hardest climbing they’ve ever done.